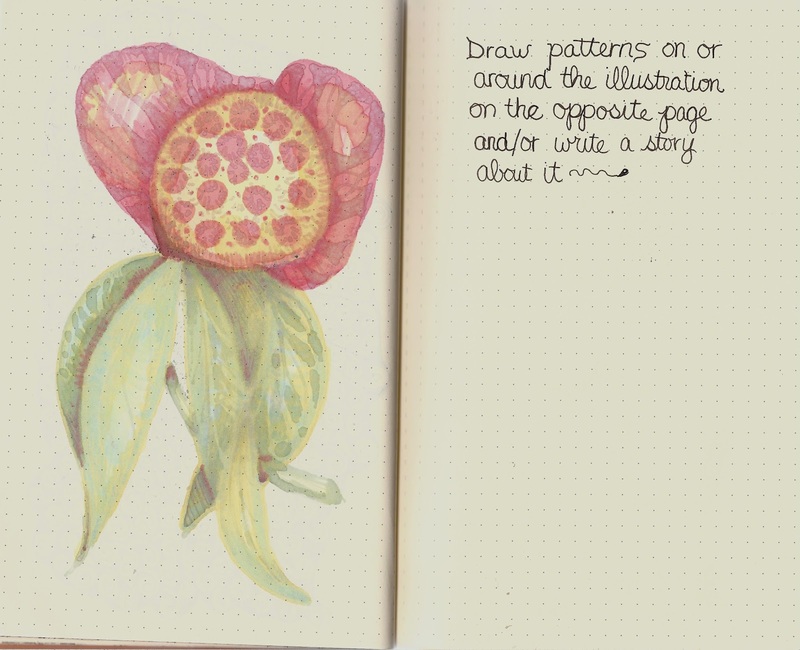 Last pages for this round of the journal swap–and it’s been sent off to the next person in line. Translation: The polka dot pansy-petunia rose-petaled hybrid is the latest hit at flower shows and weddings. The scent is described as Strawberry banana shortcake. It is such a pungent odor that show judges and bridegrooms alike are driven to nibbling nervously on their petals! I left the bleedthrumanade (got lemons, make lemonade. Got marker bleed-thru, make bleedthrumanade) for the next person to drawn on or write something about. 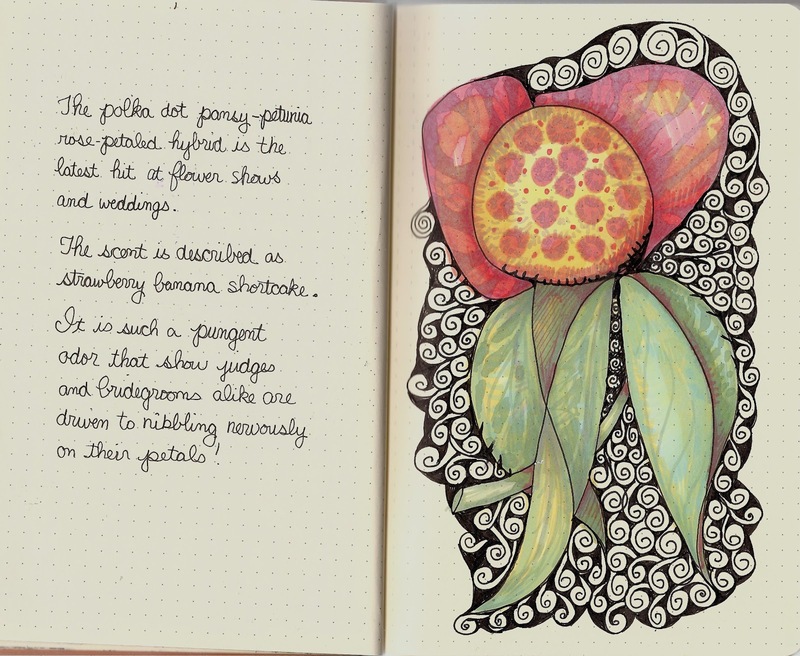 Previous Post: The Winner of Bonnie Jean Woolger’s Handmade Pen and Elephant PooPoo journal is…. I like the text you are writing alongside your beautiful drawings. How do you invent them? It seems you have a real gift for this.